Keisha Johnson gets her three kids ready for school. As part of our State of Opportunity project, we’re following parents as they struggle to get off public assistance and make a better future for their children. This is an update on one of those families. I first interviewed Keisha Johnson on a steamy summer day last June. Johnson, 25, grew up poor and is still poor to this day. But she has three reasons she wants to climb out poverty, and their names are Kaleb, Jurnee, and Alan, Jr.
Last time she was on the radio, Johnson talked about where she wants to be in three years. She wants to have her own home, her children enrolled in good schools, and a steady job as a secretary. 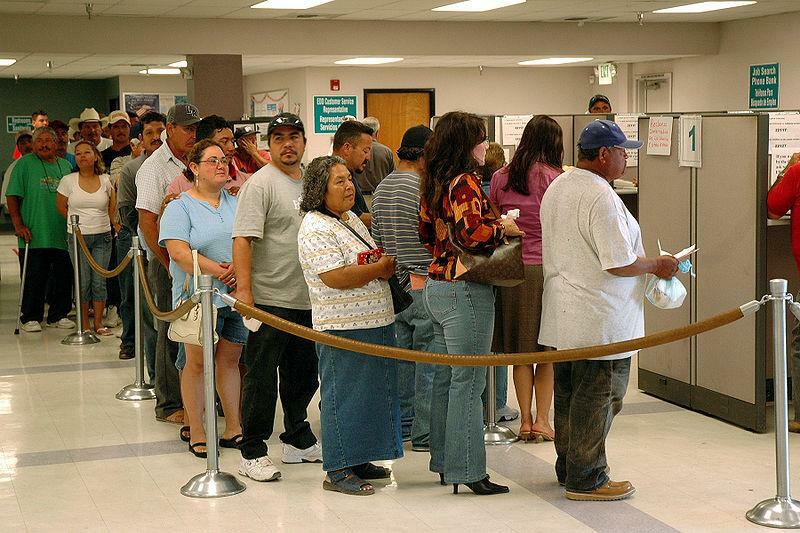 Applicants for cash assistance in Michigan will have to go through a new 21-day assessment. The state Department of Human Services Wednesday said the program is meant to bolster applicants’ job prospects. The PATH program will replace a less intensive job training program. DHS spokesman Dave Akerly said many people can’t find or keep a job because they have trouble finding child care and transportation.